Today, we celebrate the life and legacy and impact of Dr. Martin Luther King, Jr. This celebration and recognition hits in every area of our culture. Here is an example of how it was recently displayed in sports. Here’s how Google recognized the day. 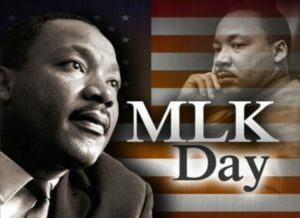 I have fond memories as a teenager being called on by many of the area churches and even our city and county in my hometown, Palatka, Florida (Putnam County), to recite the I Have A Dream speech every year. I had it memorized and had memorized his cadence and tone. It was an annual thrill for me. Every year, while we are serving and participating in parades and special breakfast services. While the “I Have A Dream” speech is being heard, I ALWAYS think about a different aspect of his life. I – at some point – during this day – pause and just reflect on the fact that a husband, father, Pastor and family member was taken so soon from those closest to him. I guess it’s personal for me because I wear several of these hats. I can’t imagine what his widow and children deal with and faced. I simply can’t imagine it. And as I reflect on these very personal hats that he wore, I wonder if his children have become calloused to see what’s happening in our world. I wonder if they think we’ve made progress in their father’s honor or if his death was for naught. I wonder if they are okay with all of the quotes that are attributed to their dad or if it hurts each time they see it. These are questions that I have and will probably always have. I can’t help but reflect that civil rights were so significant for these pioneers that they literally died for it and others were willing to kill for it. This always lights a fire in me. 2018 proves to be a year of even greater significance as we will celebrate the 50th Anniversary of his assassination. A day like today, honoring a man like Dr. King, in an environment and context like we live today where our culture is so polarized and so divided, it begs the question of whether or not Dr King’s Dream is now a nightmare? Has his dream yet to be realized or are we still reaching for it? Did the election of President Obama move us forward or keep us stagnant? Did an Obama Administration bring us to a post-racial society or did it resurrect and bring to the forefront the lingering realities of racial thoughts and perspectives. Has President Trump gotten a bad rap or is he fanning the flames of prejudice, race, and race issues? These are all questions that demand an answer. They demand an answer, because regardless of how you answer these questions, these issues are real and they can no longer be denied. Social media has allowed what could be isolated conversations and realities to now be highlighted news. What happens on one coast or in one small town can now go viral within minutes. I have argued that the soul of our country can clearly be seen. But MOST importantly, for those of us that have children, we must answer these questions because I believe we will be held accountable for the world that we pass off to them. Others, recently, have written and pondered the other angles of Dr. King’s messages, in which some feel has become watered down and “White-washed”. Feel free to read a few of these articles and develop your own thoughts. As you ponder those questions, here are some videos that can be added to your conversation. Why Churches Resisted Dr. Martin Luther King, Jr.
A Link for Kids – National Geographic on Rev. Dr. Martin Luther King, Jr.
What Is Your Life’s Blueprint? by Rev. Dr. Martin Luther King, Jr. The Three Evils of Society by Rev. Dr. Martin Luther King, Jr.
Paul’s Letter To American Christians by Rev. Dr. Martin Luther King, Jr. Happy Birthday Rev. Dr. King. We honor you sir!